Our beautiful granddaughter Willow, who is three years old, has a rare genetic brain defect (Lissencephaly). Although her body continues to grow, her brain development is frozen in time and will never develop beyond that of a four month old baby. She is unable to control her head and limbs and is not capable of things we take for granted like swallowing, blowing her nose or even controlling her expressions. She also takes strong medications to control her violent epileptic seizures. Our son (Kevin) and his family are accepting the challenges God has bestowed on them, but it is hard. 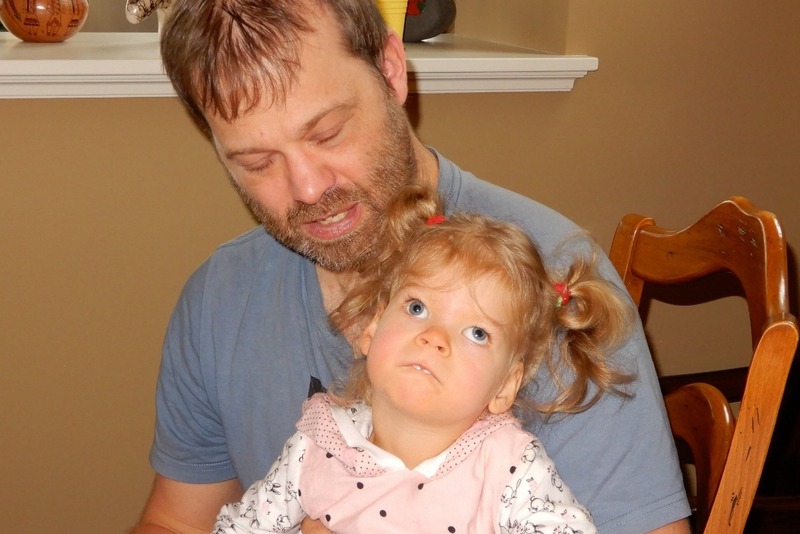 Given Willow requires constant care; her father had to give up his job as a carpenter to become her full time caregiver. The lack of salary is becoming a huge financial burden for the family; we as grandparents do what we can but the need is overwhelming. What makes it even more difficult is that our son and his family live in Limeshain, Germany; so being there to help with on-going care and transportation is not feasible. We are asking for your prayers, if possible any financial assistance you can provide.